Is your lock not working? Or maybe you are even locked in or outside of your property because the lock is not working. The first thing you should attempt in order to resolve the situation is to spray some WD-40 like lubricant inside of the keyhole. This would help out with a few different issues including dirty/grime within the cylinder and whenever the lock has got frozen. If after lubrication if the lock still doesn’t work for you, then the best decision that you can make is to call a locksmith in Spokane. They will come to your location and assess the situation in order to properly fix it. It’s very likely that your lock will need a new cylinder or maybe an entire lock change is in order. It’s possible that your key has become worn or chipped, in which case a new key will be necessary. If you don’t possess another copy that works in the lock, the locksmith may have to re-key your lock or, in other words, change the pins within the locking cylinder. This is why it is so important to have at least one spare of each key that you own. Additionally, it is possible that the various components of the door, door frame and the locking mechanism have gotten unaligned. All parts that make up a secure functioning lock and door must be conjoined perfectly in order to function accurately. 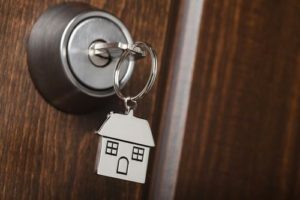 This explains why it is so necessary to call upon an experienced Spokane locksmith to do the hard work. Otherwise your property may not be as secure as you think. There are real life stories of people being locked inside of their apartments or business because the door just won’t budge. 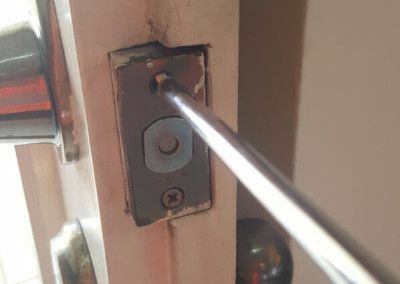 There are also stories of doors not correctly secured by the lock (despite turning the key in the keyhole on the way out) due to a faulty lock installation or misalignment between the door and door frame. Skip these nightmares by calling a residential locksmith Spokane WA and by always keeping a spare key nearby.